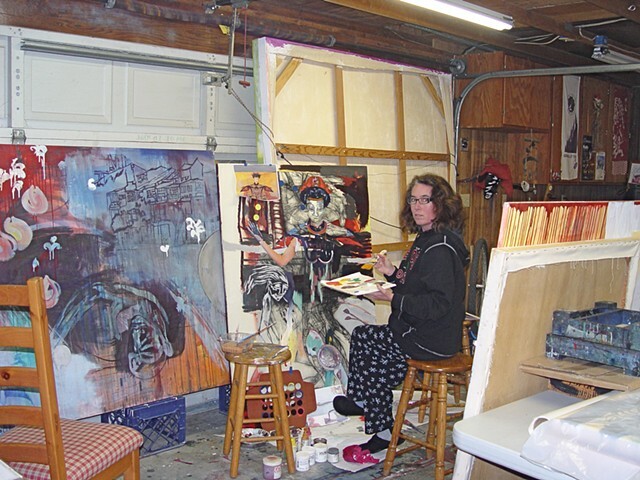 Julie McNiel Artist - In the studio, working on "Tricks and Tracks". In the studio, working on "Tricks and Tracks". Work in-progress for an upcoming exhibition at the Morris Graves Museum of Art and Museum of Northwest Art.